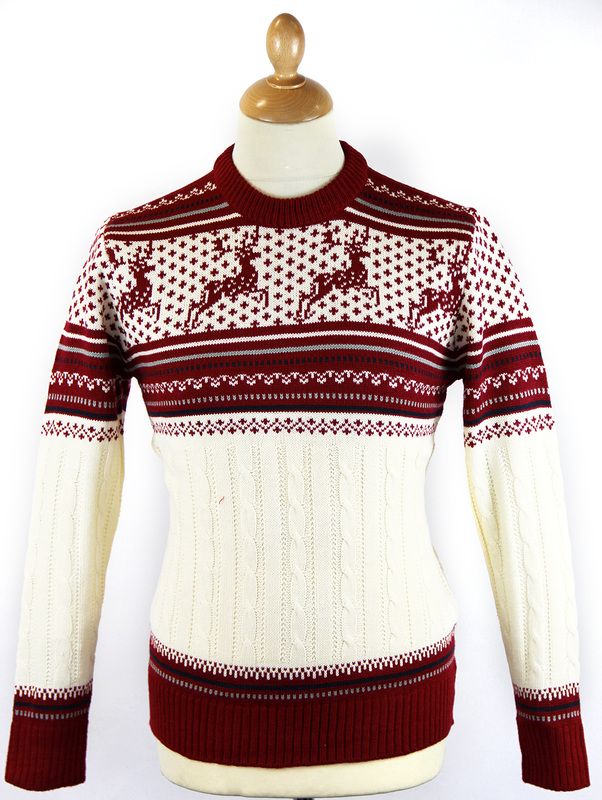 'SINGING IN THE REINDEER' RETRO SEVENTIES INDIE CHRISTMAS JUMPER (Red/Cream). Go on, have a little sing song in your Retro Christmas Reindeer Jumper. You know you want to! Fab Seventies Vintage cable knit complimented by Retro intarsia reindeer. An awesome Indie Christmas Jumper - 'Singing in the Reindeer'. 'Singing in the Reindeer' - A striking Retro red and cream Christmas Jumper with reindeer prancing in the starry Winter wonderland. 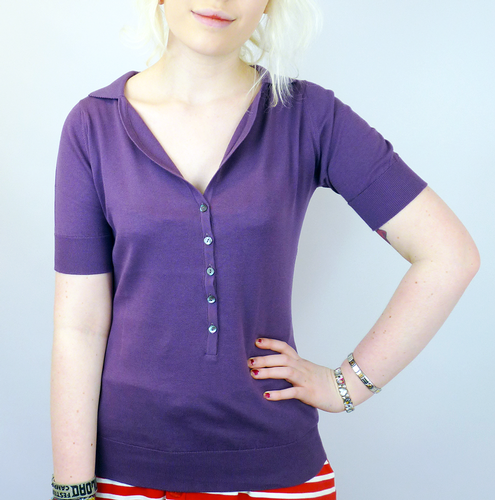 Vintage Seventies cable knit detail, ribbed hem and cuffs. Crew neck knitted Christmas jumper. A great gift idea. Slim fitting jumper. 'SINGING IN THE REINDEER' RETRO SEVENTIES INDIE CHRISTMAS JUMPER. 'SINGING IN THE REINDEER' RETRO SEVENTIES INDIE CABLE KNIT CHRISTMAS JUMPER - Red and cream Retro cable knit Christmas jumper with Reindeer intarsia knit design. Crew neck, ribbed hem and cuffs. 'Singing in the Reindeer' Christmas Jumper. Slim fit. SKU: Reindeer 10 'Singing in the Reindeer' Christmas Jumper. 'Singing in The Reindeer' Retro Seventies Indie Christmas Jumper.